More often than not, firms that use Deltek Vision can find project budgets in the Budget and Revenue tab of the Project Info Center. There you will find a series of fields that will be further defined later in this blog. Before we go too far down the rabbit hole, let’s dive into some basics. Furthermore, all these fields are available for reporting and revenue calculations. It is important to remember that even though these amounts are available in the Billing module, they are not systematically linked. It is true, however, that total compensation is the maximum that can be invoiced or earned. This amount is external client facing. Keep in mind, this is not the project budget. What, what, what? The above is not a budget? In the case of a fixed fee or a lump sum project, we would expect the total compensation to reflect the budget, but the budget should be comprised of labor and expense loaded hours/amounts over a proposed schedule based on fee and scope. 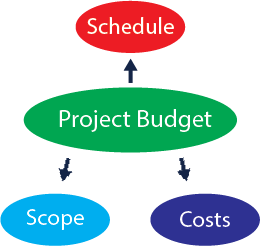 Simply stated, a budget is internal and should be used for comparison to actual costs charged to the project. In closing, budgets should be re-visited and re-casted. If managed properly, firms will gain high levels of profitability. A key take away is that, for fixed fee or lump sum projects, performing under budget creates “windfalls” or the difference between the total compensation that was invoiced and earned.